This is a rectangular Lehigh Valley Egg Producers porcelain sign. This particular Lehigh Valley Egg Producers sign is black and white. 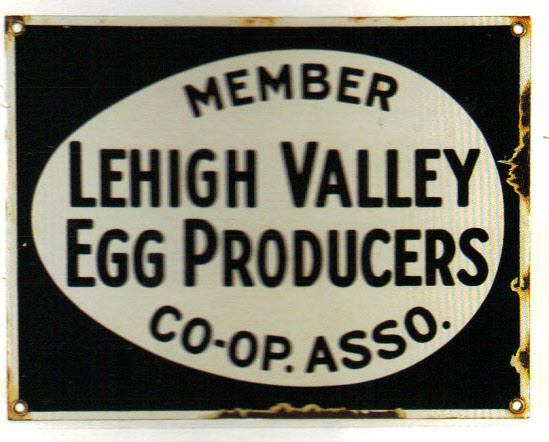 It reads, “Member Lehigh Valley Egg Producers, Co-Op. Asso.” and features a white egg against a black background.